Online casinos have opened up Roulette games to millions of people at a wide variety of stakes. Although, most information you will find is aimed at the low stakes gamblers since they make up the majority of online roulette players. This article takes a different approach, focusing on the best online roulette games and the biggest rewards for high stakes roulette players. This quick write-up will allow you to find answers to the most common questions about how to play high limit online roulette. Part 2: Description of different games, including the main variations and live dealer roulette games. $10 per spin is a big amount to some gamblers, and just another chip to throw on a number to the high limit player. Table minimums can start at just 25c at an online casino, with a typical casino requiring at least $1. The maximum bets on roulette vary depending on a casino. You should have no problem finding casinos which allow $200 for number bets and $500 for the even-money or 1/3rd chances. Live dealer games will usually have a $500+ maximum where spread, though some casinos in Las Vegas offer these at $10k or more for high rollers. 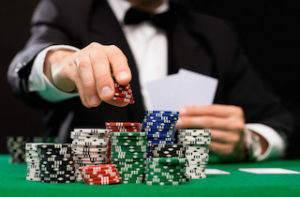 Remember: When playing for high stakes you want a casino, such as Bovada, to give you a lot of rewards and an opportunity to take advantage of lucrative roulette bonuses. The welcome roulette deposit bonus is only one component of this. It is actually the ongoing rewards (including the VIP schemes covered below) which will contribute more over time to your bottom line. I recommend you check the terms of bonuses to see how much of your wagering requirement online roulette games clear. This can vary from 25% down to > 5% depending on the casino. US players: You should also keep deposit options in mind. It is sometimes difficult to get your money on board due to the banking restrictions. I recommend Bovada Casino for easy deposits as they accept both credit cards and Western Union transfers. High stakes roulette online players should avoid the ‘double zero’ US wheel, which has a large house edge. The European wheel can be found at most online casinos. Where it is offered, the French Roulette game has the lowest edge of all. Thou, you’ll need to make sure the French game counts towards bonus wagering requirements, as this game is often excluded. Players who like to employ advanced Roulette betting systems will need to ensure that the racetrack bets are available. Whether you bet on the Series, Orphans or Neighbors type bets – this will open up some interesting possibilities for you. Live dealer roulette is another good option for high limit online roulette players. You’ll often find higher betting limits and the entertainment of interacting with a live dealer while you gamble online. The real benefits of playing high stakes roulette online start when you get a personal invitation to an exclusive VIP rewards scheme at an online casino. These VIP stakes reward programs do vary considerably across different casinos. Here are my picks for the very best. The first one is for US players only and the second for players worldwide. 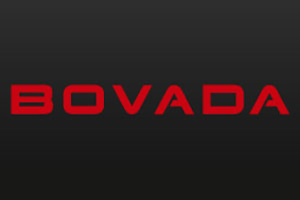 You’ll already be enjoying the $3000 in welcome bonuses at Bovada before you get invited to their exclusive VIP section. What happens is that they spot that you are a genuine high stakes roulette player from your bets, and you’ll get an e-mail inviting you to the Red Room. There are many advantages including weekly 100% bonuses, exclusive promotions and invitations to events around the world. The biggest benefit of all is that you get a dedicated account manager to look after your needs. If you want an extra bonus – all you have to do is ask! 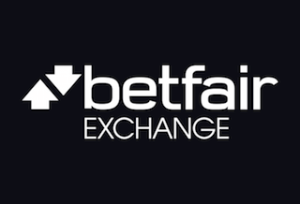 Betfair has transformed from sports betting exchange into an all-in-one gambling portal incorporating a leading online casino and poker site. For high-rollers, they have an exclusive 3-tiered VIP scheme. The minimum requirement to join is 50,000 comp points. For the top level, you’ll need to wait for a personal invitation. Gadget giveaway deals, a huge number of extra bonuses, faster comp points collection and a dedicated account manager are waiting for you. Betfair also has a ‘zero lounge’ where you gamble on a roulette wheel which has no zero.